While reading up on some drama news I saw an article on Dramafever about this economic professor who wrote a humor paper on his love of Korean dramas and what he had learned. The paper deals with the hilarity and craziness of the kdrama mother. A character for whom their own child is God and every potential mate the spawn of hell come to corrupt their child’s perfection. Its funny reading and so I give you the link to his school website and look for the paper called “Introductory Korean Drama”. Also, here’s a youtube video from someone also talking about some of the things you may learn from Korean dramas. LOL! 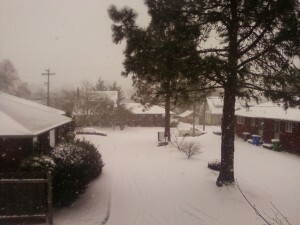 Now we’re starting to thaw and the slush is thick since we got nearly 14 inches of snow and ice. It was pretty while it lasted. When I found this movie on Netflix, I had just finished watching SungKyunKwan Scandal. Having thoroughly enjoyed the 4 actors who make up the main cast of that drama (review coming later) I was keen to see what else they had been up to. 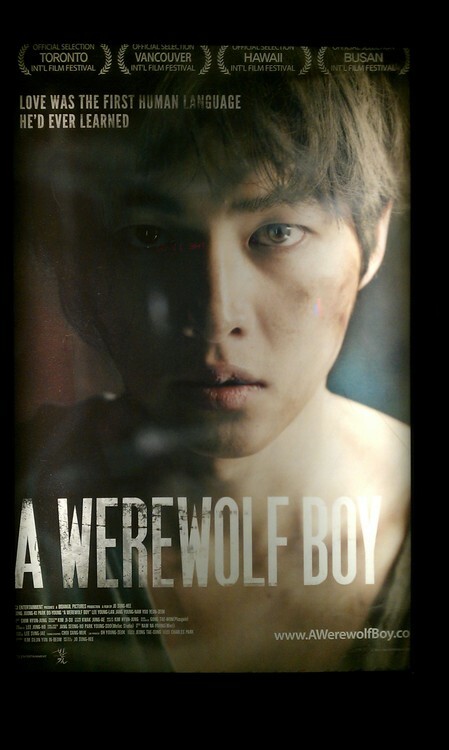 Song Joong-Ki, who you see in the picture above, is an excellent actor and I was curious about a movie that described itself as a supernatural love story. Soon-Yi is sitting at a breakfast table with her children and grandchildren when she gets a call from Korea. Surprised by whatever she is told over the phone, she informs her family that she has to go back to Korea. Once there, she meets up with her granddaughter and goes to a property that she used to live on when she was a girl. The movie then goes back in time as Soon-Yi remembers moving to the property as a girl with her mother and little sister. Helped by a spoiled rich brat who considers Soon-Yi his, their family soon settles into their new home. While there, they discover a young man living as a wild animal on the property. Cautious and starving, he allows the family to take him in and care for him. He can’t speak, has no manners and acts no different then any dog. Soon-Yi is at first repulsed by this ill mannered mongrel but soon warms up to him when she realizes that he possesses a gentle nature and is willing to learn. Ji-Tae, the rich brat with an inferiority complex, views this new male in the household as a threat to his claim on Soon-Yi as it becomes apparent that she prefers the mongrel to his money and said mongrel will protect his new family against him. Jealous and angry, Ji-Tae starts causing trouble for the family which brings out the boy’s protective instincts with unintended consequences. Park Bo-Young plays young Soon-Yi beautifully. Yoo Yeon-Seok plays our rich brat and I was surprised to see him in this film. I had just watched him in Gu Family Book where he played a more loving character and so to see him cold and jealous was a hoot to see. 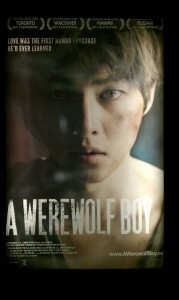 Joong-Ki performance as our werewolf boy was amazing. You have no problem buying that he is a child brought up as an animal with animal instincts. From his eyes to his body language, he completely sells the character of Chul-Soo. The pace of the movie is very good. The romance between Soon-Yi and Chul-Soo is understated but very real. You feel the bond between them in every glance and the body language is unreal. My only beef with the movie comes with the ending, which in typical Asian movie fashion is on the vague side. I’m not sure why they feel the need to obscure endings, but it seems to be a cultural thing since its so wide spread. However, the love and longing of Chul-Soo infects every moment of the movie with heart and you are right there with him, even if the story is technically told from Soon-Yi’s perspective. If you like a warm love story that has a mild supernatural element, great story telling and a cast that is easy on the eyes, then this is for you. Nothing is graphic so its safe for all audiences. As for myself? I’ve seen this movie several times since I discovered it last year. On a scale of 1 to 5, I give this movie a 4 because I prefer more concrete endings. I found these pictures absolutely amazing. The human body is truly amazing. I’m busy trying to figure out how to activate some of the cooler features of this theme I’m using and becoming very frustrated. So, Lets listen to a little Beast’s Midnight. Where do I watch my Dramas? There are two sites that I use to watch most of my dramas. While Netflix has a nice starter set to watch, If you want your latest updates for your favorite Korean, Japanese or Chinese language dramas, then there are a few choices. My favorite is Dramafever, my next favorite is Good Drama. There are those who really like a site called Viki, I can’t stand it. Its hard to navigate and confusing as well, so the fact that it tends to have more content doesn’t interest me at all. Dramafever is very easy to use and I consider the $10 monthly premium membership fee more than worth my time consider I ditched my cable when I wasn’t using it anymore. All the sites are free to use if you don’t mind watching commercials. I had no problem with it the first five months but after that I realized I didn’t need to pay 60 bucks for cable I wasn’t using. Between Dramafever and Netflix, I have all the entertainment I could possibly shake a stick at for less then 20 bucks a month. Good Drama is a free site where fansubs upload their work. I like this site for the amount of Japanese and Chinese language dramas they have. So there you go, that’s where I go when I’m looking for something to watch. Get moving on your Monday morning. Love this group. Good music, excellent dancing, just all around nice boys. Doesn’t hurt that they are easy on the eyes either. Back in November 2012 I got sick. Real sick. More details on that later. I was stuck in bed, not moving much and was bored out of my mind. Flipping through Netflix I found some kdramas and because my sister had just come back from being stationed over in South Korea, I decided to give it a try. After all, I’d grown up watching anime and so loved the story telling style. After flipping through some options I picked the one that had a girl taking on bullies at her school. Being a bullied kid myself, I was up for a good adventure. The first episode of Boys over Flowers didn’t impress me much. I thought this was glorifying class warfare and bullying, and it was like reliving 7th grade all over again. Then we got to the second episode were Jandi lays out Jun Pyo with a flying kick and I was all in. I went on to watch City Hunter, My Princess and You’re Beautiful and I was hooked. I don’t have any friends who also like watching kdramas like I do so I started this blog so I can talk to whomever about something I find a passion in. I also was an event DJ for 15 years and so love asian pop music. So while I’m not planning on being your standard gossip site, I will talk about those stories and dramas and songs that interest me.